But think of the egg boxes Kitta ... they're great in a smoker. Last edited by busybeephilip; 18-03-2018 at 02:01 PM. I use Birch wood - crumbly from 5 years or so as timbers for a compost bin. B&M natural firelighters (fine wood turning covered in wax) are ideal smoker lighters. Cut in half they light with one match and burn steadily. Larger one fits perfectly although my smoker is a £13 cheapy from ebay. 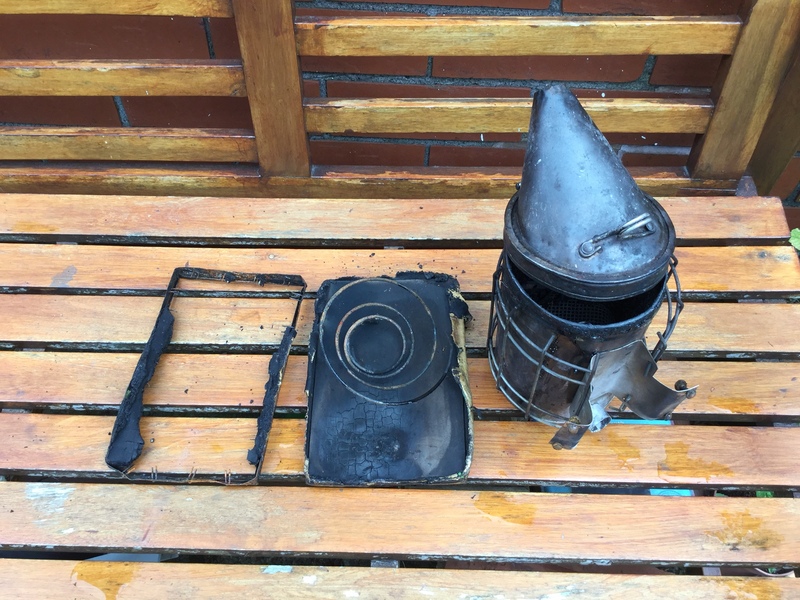 Add a handle of steel wire, remove from smoker, load up with wood shavings (petshop) and set alight underneath with self igniting blowlamp (Wickes) - or use firelighters - or both (my solution). Never have any problems even in howling gales - not that I do much beekeeping in gales..
Life is too short to worry about lighting smokers or what to burn. Untreated cat litter Smokes all day ! Had the opportunity to check my stocks this weekend. It's fair to say that they are smaller than I would expect to see at the end of March. One old queen left in a hive 'to see if she would survive' died leaving a small handfull of bees. I probably should have 'dealt' with her last October and used the bees to strengthen another colony. Another colony had a DLQ which I had feared as supercedure was attempted very late. Queen squished and that has now been combined with a nuc that was beside it. One small nuc has just one patch of brood about 100mm across - if the Beast from the East had gone on for much longer I suspect the small colonies would not have survived. I have received a number of calls from local beekeepers who have lost colonies over winter so I suspect that winter losses will be greater than usual this year. I guess too early for you guys North of me to inspect? No inspections yet (or likely ... Brrrr) but I've still got the 15 or so I entered the winter with, going by foraging activity in the warmest part of the day and 'evidence' of brood rearing on the Varroa trays. Mite levels appear reassuringly low, though perhaps they're all busy feasting on the first pupae of the season It's been the sort of winter I like - distinctly cool, with frosts on a high proportion of mornings since mid-November, going by the number of times I've had to scrape the car windscreen before work. More importantly, it's the sort of winter I think is better for the bees. One month on from this post. Pause rewind play repeat. Snow on the ground here today.